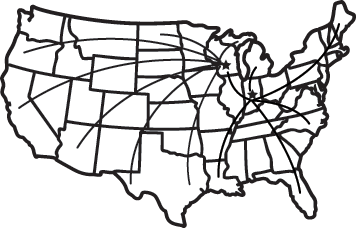 Skinner Transfer Corp. prides itself as a well-rounded trucking company as well as a freight broker focused solely on client freight transportation services and needs. We are a dry van carrier with temperature-controlled shipping specializing in general commodities as well as hazardous material transportation. Temperature Controlled including heated trailers and some refrigerated. Our full service heavy truck repair facility at our Reedsburg Terminal gives our company and our customers a unique and distinct advantage. Our fleet is kept up-to-date and service maintenance is performed on each piece of equipment on a regular basis. This enables our equipment to perform at its optimal levels allowing for efficient delivery of our customers loads. or call us today at 800-356-9350. Skinner Transfer Brokerage and Logistics is a growing part of Skinner Transfer Corporation trucking company. It was created to service our customers better by providing them with an alternative way to provide freight transportation services with the same quality and dedication we have with our own trucks. 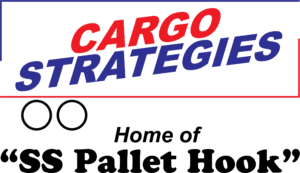 We have committed to grow our freight brokerage by expanding our carrier base, offering the customer and carrier fair rates with excellent service. We’ll get you where your business is going!